We are looking forward to welcoming our First Years on Monday, the 27th of August to begin a new chapter in their education. This will comprise of an induction morning until 1:15 pm. 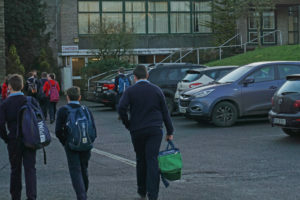 Their year head, Mr McGagh, our Pastoral Care team and your child’s tutor, Ms Gilmore (1A) or Ms Canny(1B) will be on hand to deal with any worries or fears your child might have. As buses are not running on the 27th, please drop and collect your son/daughter before 9:00 am and at 1:15 pm outside the school’s gates. You will shortly receive a text with a Username and Password for our Online VSWare system. Please keep these details safe and private. Our VSWare system will allow you access to your child’s records, view their timetable, attendance, Behaviour and Term Reports. Please watch this 4 minute video for a clear explanation of how this works. Our VSWare portal is accessed via our website here. If you have any problems, please email vsware@dunmorecs.ie for help. 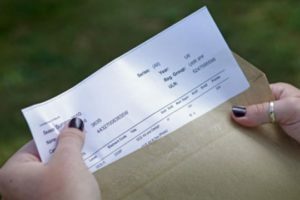 We understand that moving from primary to post-primary can be a daunting time for both student and parents. Please do not hesitate to contact us if you have any concerns. However, this year we are introducing a school-based mentoring programme called “Foróige’s Big Brother/Big Sister school Programme. 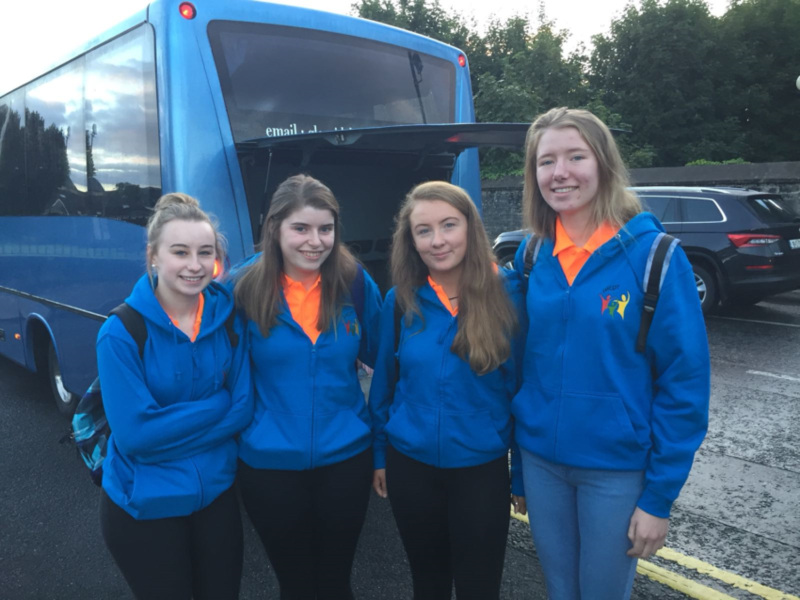 Our incoming 1st years will be matched with a senior cycle student with the aim of developing a friendly and positive relationship that will not only support the first year student but will ultimately benefit both the junior and senior students involved. This, along with our Belonging+ Programme and our new tutor system, will make the transition as seamless and enjoyable as possible for your child. 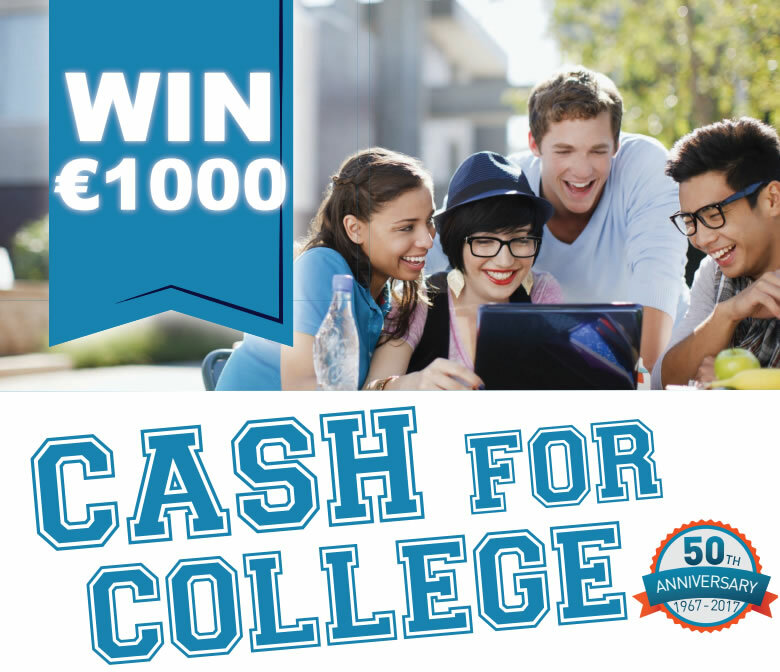 St Jarlath’s Credit Union are giving away €1000 to 22 lucky students. If you have not already entered, please click on this link to do so. Closing Date for entry to this competition is the 7th September. QQI Level 5 Business Administration Course. Well done to all our Leaving Cert Students who received their results today. As a school, we are delighted with the excellent results you achieved. We are very proud of your efforts and your grades, particularly in the areas of the STEM subjects, where your results where excellent. We wish you all the best in your future endeavours, whatever route you may take. As I pointed out to you previously, the Leaving Cert is just a stepping stone to an exciting and adventurous future, there are many paths open to you – college is but one. Personally, I would like to thank the Leaving Cert students and their parents for their support over the past year. It was a pleasure working with you during my first year as the Principal of Dunmore Community School. Go n-éirí leat. D Quinn. 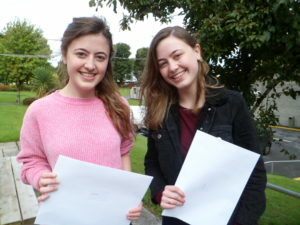 Twin sisters, Cathy and Sinead Mullins celebrate their Leaving Certificate results at Dunmore Community School. 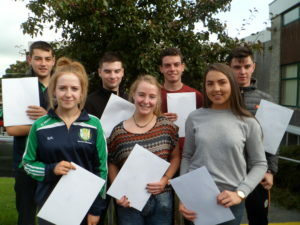 Students from Dunmore Community School celebrate their Leaving Certificate Results. Back: James Quinn, Robert Burke, Thomas Comer, Cathal Heneghan. Front, Shannon Keaveney, Derbhla Neenan and Laura Burke. 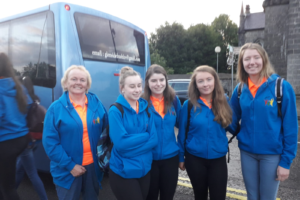 Last Friday, our students Lorna Murphy, Shauna Ryan, Jane Ryder and Aoife Sheehy travelled to Lourdes for a week with the Irish Pilgrimage Trust along with students from Balla, Ballinrobe and Claremorris. Ms. Clesham is one of the 6 leaders with the group of girls. The group are working with adults with special needs. Well done to all involved.